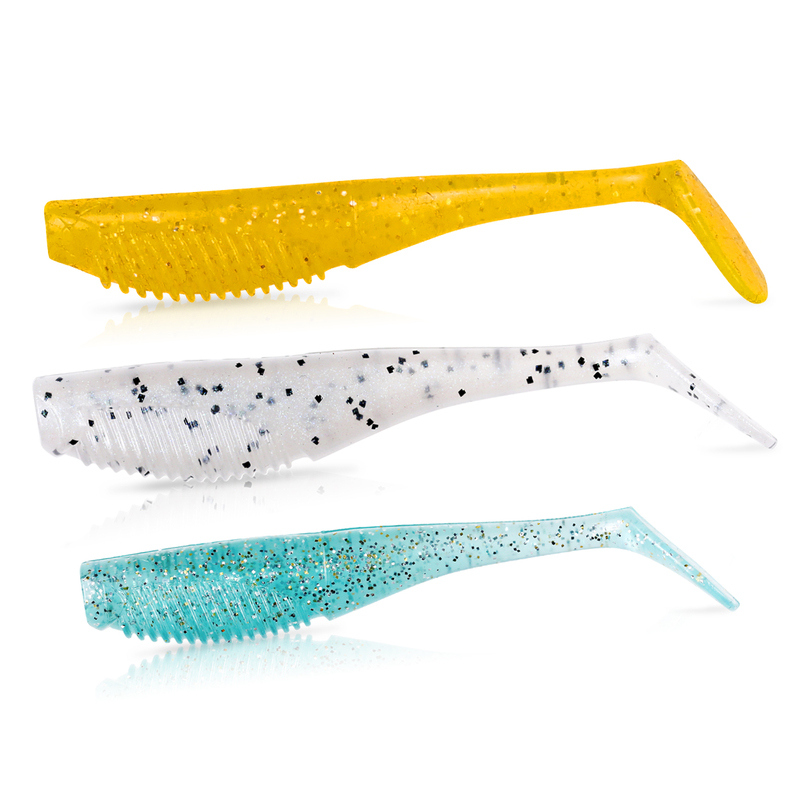 The New sophisticated Bio Tough Fish combines the latest in enviromental technologies with the ever popluar Squidgies Fish shape, with a modern upgrade of course. It combines the best of shad, T-tail and swim-bait features, but with a unique Squidgies twist that sees it pounding out a tail beat, rolling its body seductively and rippling those trademark belly flaps, the newSquidgies Bio Tough Fish is a genuine world-beater! Squidgies Bio Tough Fish combines Dura Stretch toughness with our new 'Synthetic Bioplastic' making it possible to merge superior strength and durability with at least 50% Biodegradability. Shimano 'Squidgies Bio-Tough' intergrates these features with our exisiting UV treatment to further enhance lure pressence and ensure your plastic lasts longer. Not only will you have the benefit of ustilising a proven fish attracting soft palstic design but will now be able to use it over and over again. Lasting through many fishing adventures.